Being pushed by bad luck to the tunnel of pains, I finally found the light at the other end, my heart is being filled with the tender happiness that Vietnamese traditional music brings. When I was a student of Vietnam National Academy of Music I really hated music and blamed my mother for having forced me to study hard until graduation. However, I now treasure everything I’ve got thanks to my mother and the amazing academy. I felt so happy when I was in the Vietnamese Culture Display room looking at the audience from many different countries enjoying my instruments. What made me even happier was that among them there was a very special fan who has autism. He nearly does not care about anything happening in this world but he paid much attention and was moved by the music. Since he was touched my instrument, he was woken up, which made him follow me on each show. He has spent the whole afternoon of the Sakura Festival being deeply immersed in the sound of my instrument. There were some very interesting comments about my music that helped me realise the beauty of English. Without music, I would never know that English is meaningful that much. An audience said: “Your music is really wonderful, the song, the dress, the way you play your instrument. Your music is not a simple song; it is the way you talk to me and it really leads my feelings from the words of the heart. From the beginning, I feel like I’m talking with you, then I feel like I’m sad with you and after that, I really want to sing with you. And I really want to send congratulations to you”. Music is indeed the most idyllic and intimate way of communication. 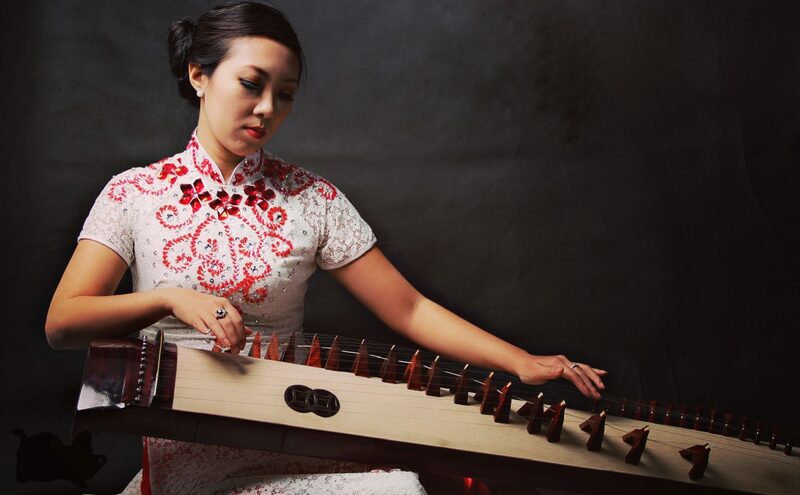 Thanks to it, I’ve had the opportunity to share the interesting things in life with others; a chance to see many audience’s eyes watching me attentively and sometimes being amazed and surprised when I’m telling them the stories of Vietnamese traditional music. Finally, of course, many thanks to a friendly reporter who interviewed and promoted me every month in the local newspaper. I’m so tired now but inside my heart, there is still indescribable happiness rising. I’m really grateful to my mother who has given me this wonderful thing, my teachers at the Music Academy for giving me precious lessons, Mrs. Thu Hai for bringing my “bamboo dream” come true, all of my friends for their support and the opportunities they helped me create, which has brought Vietnamese traditional music to these nice people in this paradise country.